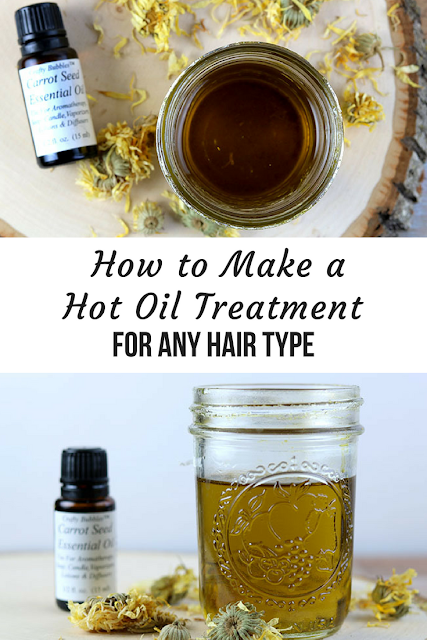 Learn how to create your own custom hot oil treatment no matter what type of hair you have. Last weekend, the boys were camping, so it was a fairly slow weekend. My daughter and I made it a girls weekend and watched chick flicks on the big screen in the living room with the lights off and did girly things like paint our nails and put weird stuff on our hair. I'm overdue for a hair cut, so my hair is really getting dry and looking dull. Normally, I use a hair mask, but I needed something that would give me some serious moisture, so I decided to use a hot oil treatment. I had some parsley infused flax oil to use, but I needed a little boost for some shine. I added some carrot seed oil because it's high in vitamins A and E to nourish my hair. I was going to create a brand new recipe, but then I thought how that will only help some of my readers. You all have different hair needs, and you may even have some ingredients at home. 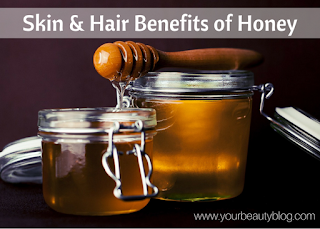 Why not teach you how to make your own hot oil treatment for hair for any hair need? No matter what your hair type is, no matter what your hair needs are, you can use the oils, herbs, and essential oils that are best for your hair type. The base of your diy hot oil treatment recipe will be the carrier oil. Some carrier oils are better than others for your hair, so choose the one that's best for your needs. Apricot kernel oil is a dry oil, so it absorbs quickly. It won't leave your hair as greasy as other oils will. It's very high in vitamin B17, linoleic acid, and oleic acid. This oil is best for those with dry hair or those who don't want to risk having oily hair after the treatment. Avocado oil is one of my favorite oils for the hair and skin. It's not only high in vitamins A, B, D, and E, but it also has sterols, lecitin, fatty acids, and amino acids. It is said to promote cellular turnover. Avocado oil is best for dry, damaged hair. Castor oil is a fairly heavy oil, but it's very nourishing for your hair. It helps pull moisture from the air and help your hair retain moisture. If you have thinning hair, castor oil is one of the best oils to use, but it's also a great oil to use on dry or damaged hair. Coconut oil is a widely used in hair masks because it helps soften your hair and nourish your scalp so well. It's high in iron, calcium, magnesium, and phosphorus as well as vitamins A, B, and E. Coconut oil is a great carrier oil to use for dry or damaged hair, but it is very greasy on your hair. Flax seed oil is vitamins, minerals, and fatty acids to nourish your hair. It can help promote hair growth, so it's a good oil for fine or thinning hair. Grapeseed oil is another light oil, so it doesn't leave your hair overly oily. It's generally well tolerated for most people. I really like grapseed oil hot oil treatments, for my weekly treatments, but I think there are other oils that are better for a deep moisturizing treatment. Hempseed oil is an emollient, so it helps keep moisture in your hair. 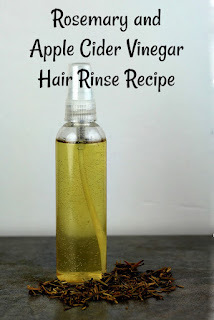 It's hydrating, making it a great oil to use if you have damaged hair. It can also help your scalp if you have psoriasis or eczema. Jojoba oil is actually a wax and not an oil, but I'll include it because it's wonderful for your hair. It can help protect your hair, so it's a good oil to use in the summer before you go out in the sun. It's a good oil to use if you have an oily scalp because it helps curb oil production. Sesame oil is moisturizing for your hair and scalp. It's a wonderful choice if you have psoriasis or eczema because it's soothing. It's a thick oil, so it's best mixed with another oil. Use this oil sparingly because it can darken your hair. Sweet Almond oi l is fairly quick to absorb into your hair, but it can still be rather heavy on our hair. It's high in vitamins A and E and oleic acid. It's a great oil to use if you have a sensitive or dry scalp because it's nourishing. Wheat germ oil is an antioxidant and can help restore hair. It's a good choice for damaged hair. It has a strong odor, so it's best used when mixed with another oil. You can also mix one or more oils. Avocado oil is a rather heavy oil, so I'll mix it with grapeseed oil to get the benefits of the avocado oil without weighing down my hair too much. If you want to give your oil a boost, try infusing an herb in the oil. 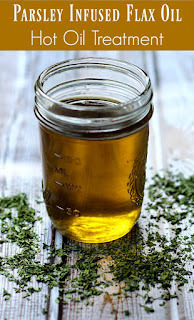 This gives the oil the benefits of the herb without adding the herb, which can be messy. 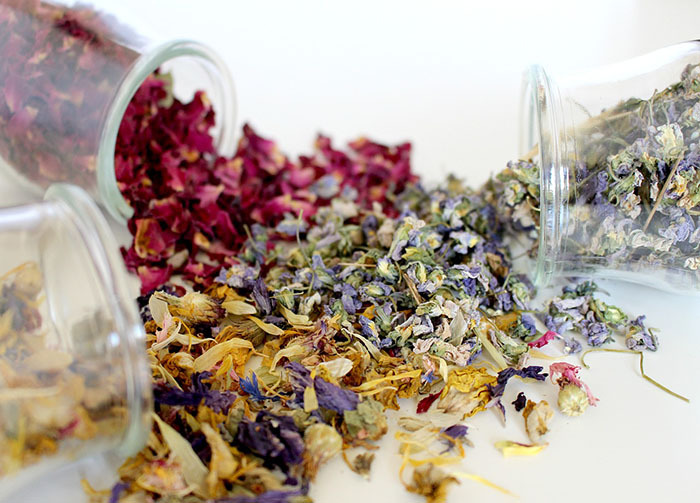 Learn how to infuse herbs and oils here. If you're feeling really spunky, you can also add a few drops of essential oils. I usually use 3-4 drops of essential oils with each hot oil treatment. Lavender is said to boost hair growth. Rosemary essential oil is said to promote hair growth. Chamomile essential oil adds shine to hair. Carrot seed oil makes hair soft and smooth. Clary sage can help reduce oil. Lemongrass can help soothe an irritated scalp. Peppermint stimulates the scalp. It can help relieve a dry, itchy scalp. Now that you know what kind of oils, herbs, and essential oils to use, it's time to make your hot oil treatment for the hair. When you use a hot oil treatment, less is more. Using more oil won't make your hair more nourished, but it will make it harder to wash out. I have thick hair just below my chin, and I use about 3 tablespoons of oil. If you're mixing oils, you'll want to make sure that you have at least 3 tablespoons of oils. Add 3-4 drops of essential oils and mix well. Fill a bowl with hot water and put a bowl of oil in the dish with the water. This helps slowly and evenly heat the oil. I don't like using a microwave because it can make hot spots. I know it's called a hot oil treatment, but you don't want to burn yourself! Heating the oil is optional, but it will work better. The warmth of the oil helps open the cuticle, which means the oils get deeper in the strand of hair. After I spread the oil on my hair, I use a wide toothed comb to comb the oil through. Make sure you work the oil into your scalp, especially if you have a dry scalp. Then I use a shower cap to cover my hair. Finally, I wet a towel with hot water and wrap it around my oiled hair in the shower cap. This helps keep the cuticle open for better results. Let the oil sit on your head for at least 20 minutes. I've even let it sit for an hour if I get busy cleaning or reading a book. Rinse your hair with warm water. Wash your hair with a gentle shampoo. If your hair feels really oily, you may want to wash it again. I normally wash twice and do not condition my hair. Now you have the basic recipe and know what to add to your custom hot oil treatment.